Disney Frozen Elsa & Anna 4pc Toddler Bedding Set Just $32.98 Down From $70.00 At Walmart! 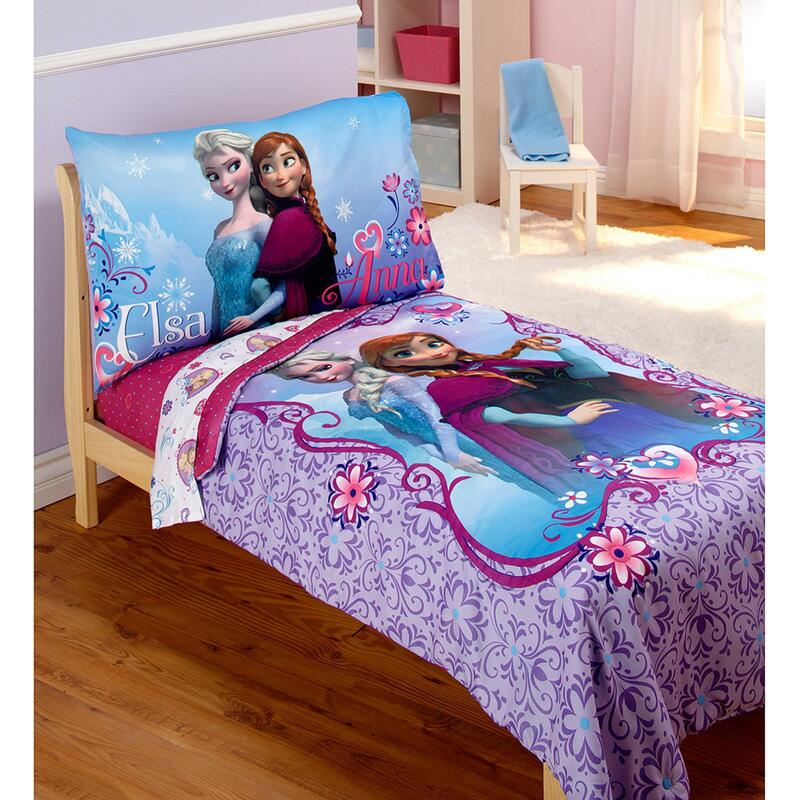 You are here: Home / Great Deals / Disney Frozen Elsa & Anna 4pc Toddler Bedding Set Just $32.98 Down From $70.00 At Walmart! Right now you can get this Disney Frozen Elsa & Anna 4pc Toddler Bedding Set for just $32.98 (Reg. $70.00) at Walmart! Disney Frozen Elsa & Anna 4pc toddler set includes a comforter, top sheet, fitted sheet and pillowcase. The Disney Frozen Elsa & Anna 4pc toddler bedding set includes a printed comforter, fitted sheet, flat top sheet and reversible pillowcase. The sheets fit a standard size toddler/crib mattress, measuring 28 x 52″. Pillowcase features Elsa & Anna on one side, reverses to the playful snowman Olaf on the other. Made from 100% polyester microfiber for a soft feel.